When you need your old and worn out plumbing replaced in Los Angeles, the professionals at Integrity Repipe can help. Damaged or poorly installed plumbing can quickly lead to leaks, rusty looking water, and even water that tastes bad. At integrity Repipe, we can ensure that your pipes are replaced both quickly, and on a budget. Our repiping specialists are dedicated to making sure that the plumbing in your home lasts as long as possible, limiting your need for repairs and pipe replacement in the future. With an A+ rating with the Better Business Bureau and five-star reviews on Google and Yelp, the plumbers at integrity repipe have been installing and replacing pipes since 1990, and are backed by a 100% satisfaction guarantee. Having replaced the pipes in thousands of homes and businesses throughout California, Integrity Repipe is both fast and affordable! If you are renovating your home and discover that the existing plumbing needs to be replaced immediately, Integrity Repipe is the top rated, affordable pipe replacement company near you who can get the job done right quickly and efficiently. With quality in mind and affordable copper, CPVC, galvanized pipe, and PEX system repiping services, Integrity Repipe is dedicated to making sure the plumbing in your home or business is installed to perfection and will last for years to come. In a typical two to three bathroom home, the repiping process takes roughly three days to finish to completion. We start on day one, removing your existing plumbing and replacing it with all new materials, whether it’s copper, PEX or another desired piping material. The final two days are spent repairing the plaster and walls to make it seem as though we were never there. For affordable repipe plumbing services in Los Angeles, California, trust none other than Integrity Repipe to get the job done right quickly and professionally. With trained and licensed technicians, we can provide you with copper pipe installation, galvanized repiping, CPVC pipe replacement, and PEX plumbing systems for homes and businesses throughout the Los Angeles Area. 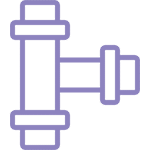 As a cost effective plumbing service in Los Angeles, we can guarantee excellent pipe replacement and make sure that our project is done within the given timeline to ensure your satisfaction. Over the years, your existing plumbing can become damaged and cause leaks in your home or surrounding landscape. This can be especially prevalent when the pipes that were used initially are recycled and have been manufactured in foreign lands. At Integrity Repipe, we can replace your pipes professionally and use only the highest quality materials manufactured right here in the U.S. There are many different pipe materials used nowadays, but some stand the test of time more than others. When you need to repipe your home because of older, more fragile materials like galvanized pipes, copper, or CPVC plumbing systems, replacing it with PEX piping systems is your best bet. Integrity Repipe is a certified PEX home repiping company who can help you with your plumbing problems! Although Copper pipes are much more affordable, PEX pipes offer many other features at a higher cost. They will last much longer than copper as they are more flexible, resist freeze damage, corrosion, pitting and scaling, they reduce the noise of rushing water, and they retain heat in warm water lines. For more details about copper and PEX pipes, talk to a repipe specialist at Integrity Repipe, today! 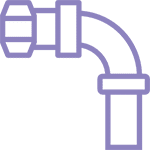 I highly recommend Integrity Repipe Inc.
Getting your home plumbing rerouted can seem like a daunting task, but at Integrity Repipe, we have the skills and expertise to take care of your home plumbing reroute. With non invasive leak detection, Integrity Repipe in Los Angeles is just the residential repiping company to take care of your leaky pipes and and full pipe replacement. At Integrity Repipe, we are proud to have experienced and affordable contractors who can take care of your repiping job in your residential home. When the plumbing in your home becomes compromised either due to frequent wear and tear, old age, or improper installation techniques, you can trust the repipe plumbing specialists in Los Angeles at Integrity Repipe. Backed by five star reviews on Google and Yelp, and an A+ rating with the Better Business Bureau, Integrity Repipe is a top rated copper repipe company also offering old pipe replacement, lead pipe replacement, and rusted pipe replacement. Not only do we install PEX piping, but we also install CPVC pipes, copper, and galvanized pipes. For more information about the variety of home plumbing services we offer, call Integrity Repipe today! 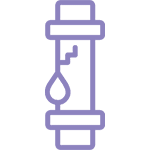 When your pipes become rusty and it starts to compromise the state of your water’s purity, Integrity Repipe can replace your rusted pipes with care and expertise. Get cost effective and long lasting PEX Plumbing services from Integrity Repipe to make sure that you don’t have to have your plumbing repaired time and again. 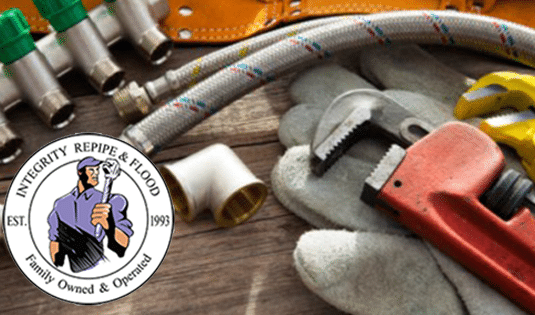 If disaster strikes in your plumbing and you need immediate assistance, Integrity Repipe and its experienced technicians have a fast response time and are available 24/7!